Being the newbie on the early intervention team is not an easy position for anyone. There is so much to know: so many resources to learn about, so many aspects of typical and atypical development to address, so many possibilities for intervention strategies, so many different families, so many unique family routines…ah, the list could go on and on! Being the newcomer to any job can be overwhelming, but working in early intervention means entering an especially multi-faceted and often complicated system. It also means beginning an exciting journey that offers you the awesome opportunity to have a positive impact on the lives of very young children and their families. But first, you have to survive those first 6 months on the job! The very best tip I learned as a newbie – in four different early intervention programs over the years – was that it was okay to say “I don’t know but I’ll find out.” This was my favorite phrase. I was honest about what I knew and did not know, and that honesty helped me gain acceptance and confidence. Always following through on the “I’ll find out” part was key. It helped me learn about the program, local resources, and whatever specific disability or development-related information I needed, and also communicated to families and my coworkers that I was dependable and trustworthy. Being dependable, flexible, honest, and always willing to learn are musts for any early interventionist because the reality is, once you think you know something about this job, it changes the next week! I think many of us in early intervention embrace these changes – I know they kept me on my toes and excited about my evolving role on my team. Find a mentor – Hopefully your supervisor will link you with a mentor, but if not, ask for one. Maybe your officemate could be your mentor. Identify someone as your go-to-person for questions and support. Tag along on as many visits as you can – Ask to go meet families and observe visits with service coordinators, therapists, educators, anyone on your team. Learn about all of the different facets of intervention. Pick the brains around you – Don’t be afraid to ask questions. Ask about resources, ask why, ask a colleague for help. They were all newbies at one time too. Practice filling out assessment tools and writing IFSPs – If possible, observe a few assessments and IFSP meetings before you lead or participate in one as a service coordinator or provider. Fill out the assessment tool alongside your mentor then compare notes afterwards. Practice writing an IFSP and have your mentor or a colleague critique it and provide feedback. Read Part C of IDEA and your state and local procedures – I know, this doesn’t sound like an exciting way to spend your time, but knowing the requirements of your job is so important. It helps you know what is expected of you and why. If your state has a practice manual, as we do in Virginia, then READ it! Give yourself some time – A service coordinator I used to work with always said she thought it took a good 6 months to feel comfortable in the role. Try not to feel like you have to know everything right away because no one does. Allow yourself some time to learn and grow into your new role. Enjoy the learning process! What advice do you have for newbies? Share your suggestions in the comments below! The other thing that I feel is important to keep in perspective is that when you are no longer a “newbie” think about what things helped you when you were so you can help out the new “newbies” you meet along the way. Especially families who are often the “newbie” on a team when they enter EI and work with early interventionists who may or may not already have the experience working together. Thanks for the great resource, Sarah! Thinking about team development really takes this discussion to a deeper level. 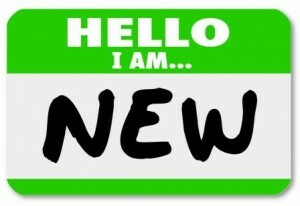 So does the idea of the parent being the newbie on the team – that is so true! Not only is the parent new to the team, but he/she is usually new to the whole EI universe and might also be new to parenthood. Some of these tips could be helpful for parents too – find a mentor/another parent who’s been there, read about how EI works, pick the brains of those around you, and give yourself time! Great tips! I also hope that the “newbies” in the field today are comforted a bit by the fact that their role in EI is not that of the “expert” who is walking in with a magic bag and all of the answers! Partnering with families; the shared discovery process of gathering assessment information; and wondering together how best to support participation, engagement and independence in daily routines means that we are all in this together! That’s a wonderful point, Amy. The partnership is where the answers are found and all of us get better at facilitating that shared discovery over time. This is an important thing to help families understand too!